Lohse was born on January 10, 1851 in Fünfhausen (near Oldenburg), Germany. After studying astronomy at the University of Göttingen he went to Scottland in 1877 to become second assistent astronomer at Lord Crawford's Dun Echt Observatory, Aberdeenshire (first assistent was Copeland). There he discovered the comet Temple-Swift on November 8, 1880. In 1884 he was engaged as an observer by James Wigglesworth for his new observatory in Scarborough, Yorkshire, located at the northeast cost of England. Wigglesworth was born in 1815. He was a businessman in Scarborough, his only recreation was astronomy. He was a careful observer using a 6" refractor (made in 1853 by Thomas Cooke, York) for 14 years. In 1879 he bought the optical division of Cooke‘s company, getting a partner of the Cooke sons. He was elected a Fellow of the RAS in 1885. 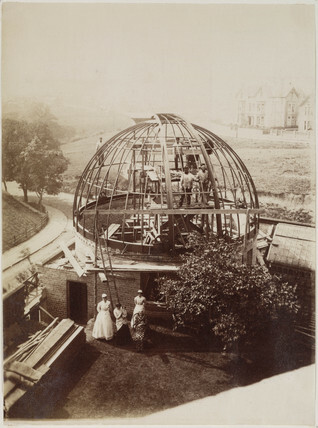 The same year a new observatory with a 30ft dome was erected near Scarborough (150ft above see level) housing a new 15.5" f/15 refractor by T. Cooke & Sons. On September 1st it was ready to use by Wigglesworth and Lohse. They first observed the Nova Cygni 1885 and soon investigated the Nova in M 31 (from Sept. 3 through Dez. 1). Lohse used a Merz micrometer, a loan from Lord Crawford. With this instrument he determined the positions of 20 nebulae, found between 1885 and 1887, and comunicated them by letter to Dreyer. James Wigglesworth died in 1889 and his observatory closes; his son Robert succeeded as partner of the Cooke company. Lohse went back to Scottland becoming an assistant of Ralph Copeland again (now first Astronomer Royal of Scotland) at the Edinburgh Observatory. After his astronomical career he eventually left Scotland for Germany and died in Oldenburg on January 2, 1941 at the age of 90. Don‘t confuse him with the other (better known) german astronomer Oswald Lohse (1845-1915), after whom a lunar crater is named. The following 17 NGC-objects must be credited to Lohse (the date "1886" is estimated). Only 3 objetcs are "real": the galaxies NGC 2518, NGC 2565, and NGC 6792; 11 are stars or star groups and the remainig 3 are missing. One object, NGC 4345, credited by Dreyer to Lohse, is identical to NGC 4319, found by W. Herschel. An 18th object, NGC 7114, is most interesting: this was Nova Cygni 1876 (Q Cyg), discovered by Schmidt at Athens on Nov. 24, 1879, shining at 3rd magnitude. On Oct. 3, 1885 Lohse believed seeing a surrounding nebula (the star was then at 15 mag); see: Lohse, J. G., Observations of Nova Cygni, MNRAS 47, 494 (1887). But this nebula probably was noticed first in October 1877 by Copeland (see AN #2158) with the 15" refractor at Dun Echt, stating, that the star has a "small disc with a soft margin" (Lohse was surely involved). Copeland and Lohse published their extensive observations in Copernicus II, 101 (1882). Burnham also thought to glimpse a very faint nebula in August 1891 with the 36" refractor at Lick; see: Publ. Lick Obs. 2, 179 (1891). 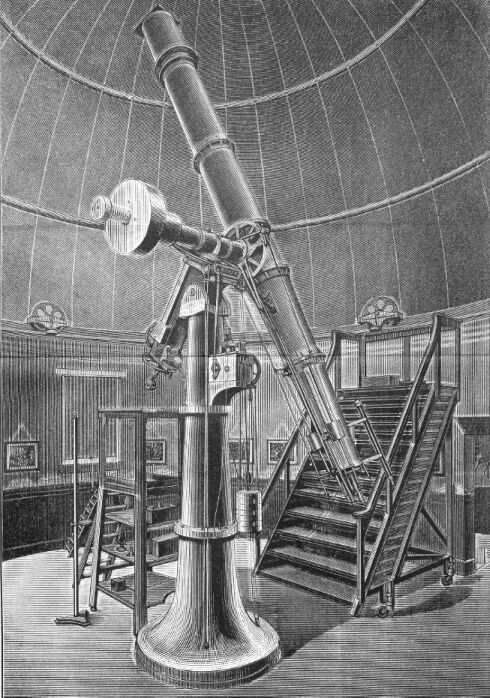 All relevant results were compiled by Barnard in 1902, including his own observations with the 40" refractor at Yerkes. He noted, that the "spurious disc around the star appeared much duller and somewhat larger than that of a star"; see: MNRAS 62, 405 (1902).